Timespanner: Luna Park -- Auckland's "Coney Island"
Said Sam to Sue, “What shall we do? 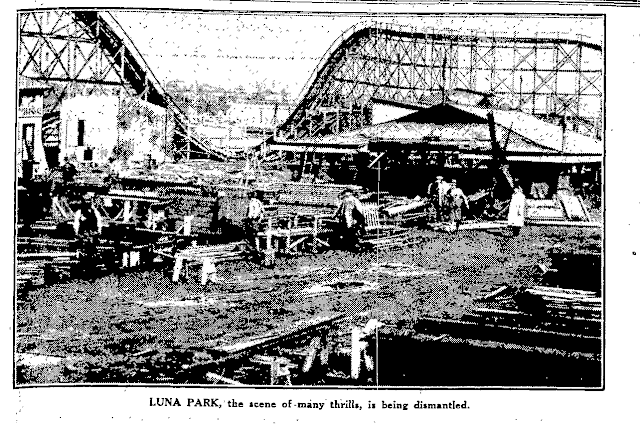 On the north side of Quay Street, opposite the site of the Strand railway lines and the Auckland station at Beach Road, there was once Auckland’s own Luna Park. In June 1926, the Amusement Park Syndicate applied to the Auckland Harbour Board for an eight year lease, £2000 per annum, on 2.75 acres of what was called their Eastern Reclamation, between Quay Street and Haig Street (now Tooley Street). They had purchased “dismantled devices” used at the New Zealand and South Seas Exhibition in 1925 at Logan Park, Dunedin. Thomas Bloodworth on the Harbour Board was vociferous in his opposition. Mr T Bloodworth thought it was not a proper place for an amusements park. The board should consider the effect of its actions on the remainder of the city. An amusements park, with hurdy-gurdies and scenic railways, situated right at the entrance to the city, could not do other than have a damaging effect on the businesses of the city. Money would be diverted from regular business channels. While some very large cities, such as Melbourne, had their amusements parks, he did not know of any city the size of Auckland that had such a park permanently established. It had been the experience of the Dunedin people during the exhibition that the effect of the attractions now to be brought to Auckland was anything but good. Many Auckland people did not know that this syndicate intended bringing up all the hurdy-gurdies and side shows from Dunedin in order to "plonk" them down at the very entrance to the city. Here was a proposition to establish a stimulus to visit Auckland. The city could well do with such a stimulus for a short period, when many country folk might be induced to come to town. To establish a permanent park for eight years was quite another matter. "The evil of it is that, for almost one generation, the children of Auckland will grow up in the environment of an amusements park, open on six days of the week. This sort of thing, going on day in and day out, can only be harmful," said Mr Bloodworth. "I think there is an opening for something of the kind during the summer, but it should be located away from the business area, perhaps on one of the islands down the gulf, where people would find it a little difficult to reach." A member: “Pakatoa.” (Laughter.) In conclusion, Mr Bloodworth reiterated his statement that he thought the presence of the amusements park would have a harmful effect on the established businesses of the city. After more discussion, and with Bloodworth negative vote recorded, the Harbour Board decided to lease the site to the syndicate for a five year agreement, with right of renewal for three years. 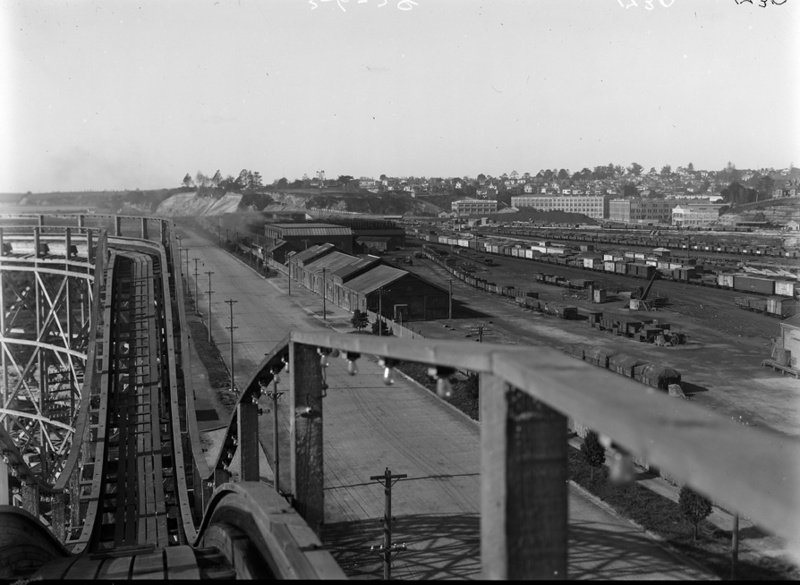 The following month, the syndicate applied for a permit from the Auckland City Council “to erect certain structures,” a switchback railway [described as a Scenic Railway around the entire block], caterpillar, river cave with Fun Factory and tea terrace, Whip, dodgem, Merry Mix Up, band stand, cabaret and entrance. This posed some points of uncertainty for the Council at that time. 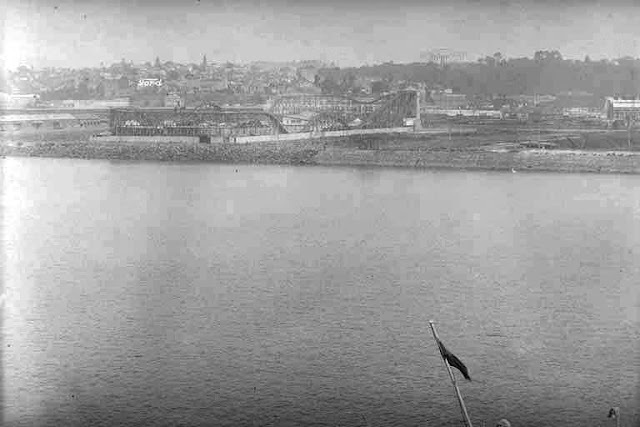 Firstly, the land on which the amusement park was to be sited was not officially within the legal description of the city’s boundaries, being that it was land reclaimed from the harbour itself. However, the owner of the land, the Auckland Harbour Board, could neither issue building permits, nor had the statutory power to regulate building standards, which the Council had. Council’s solicitors found that the Council could have regulatory authority for building standards over reclaimed land adjacent to its boundaries, so at least that issue was sorted. Then came the question as to the fee for such a permit. Council was briefly flummoxed – the amusement park was both novel, and substantial. Up to 250 men were to be employed in its construction, and around 100 employed there on completion, planned for close to Christmas that year. On 5 August, Council approved the building permits. The Amusement Park Limited issued a prospectus mid August 1926. The provisional directors were Alexander Burt, John Arthur Holloway, J F Fairbairn, H Halliday and Samuel Dunn. The company extolled the benefits of the park’s location, that amusement parks had done very well overseas, and that they intended for the park to last at least 14 years. The park opened 4 December 1926. Throughout the afternoon Kings Drive resounded with the shrieks and yells of young and old as they tried out the various contrivances, many of which were quite new to this city. The chief attraction, of course, was the scenic railway, a great thrill producer with its dips and' sudden bends. It races round the entire park. On Saturday afternoon and evening it carried over 6000 passengers, many of whom were so thrilled that they patronised the railway not once, but three or four times. The management have taken every precaution to ensure the safety of those who patronise this novelty, the track being provided with an electrical signalling system which prevents cars running during any but safe intervals. The entire railway is illuminated at night. Probably the next most popular feature was the "dodgem," in which patrons control their own cars and endeavour to avoid as many collisions as possible, but the real thrill of the thing is that a crash occurs on an average of about once a second. "The whip," less popular, perhaps, with nervous people because of its whirling speed, had a good share of the patronage, while the "caterpillar" and the "merry mix-up" were kept fully occupied throughout the afternoon and evening. The "fun factory" is worthy in every respect of its name. There is also a gallery of those mirrors that distort ordinary mankind into diabolical and grotesque specimens, and two toboggan slides by which a quick exit may be made. A large tea room overlooks the Waitemata and a cabaret is to be opened in the near future. There are a number of stalls purveying numerous goods, while a variety of sideshows are still in the course of erection. City Council buses run between the foot of Queen Street and the park for the benefit of patrons. The park will be open each evening, when a band will be in attendance. A fire on 22 February 1927 was catastrophic. The tea rooms, cabaret, offices of the secretary and his staff, photographer’s studio, the “fun factory” and the rear portion of the scenic railway were destroyed, amounting to an estimated £10,000 damages. Despite this, the park reopened 21 March 1927, just under a month after the fire, even though still in the process of rebuilding. Closed again for the winter months, the prospects though seemed to be good. But some directors at the annual meeting expressed concern that profits weren’t as high as had been projected. The “railway station” at the park burned down on 1 February 1928, but that was the limit of the damage, as the organisers had set up an auxiliary fire-fighting plant on site. In the face of the gathering depression, it was announced that there would no longer be a charge for admission to the park from 31 March 1928. But overall receipts were well down, the depression being partly blamed but also daylight saving. By October 1928, however, for all the reasons and excuses, one thing was clear – the park was running at a severe loss, the lease payment to the Harbour Board was proving to be onerous. In November 1929, reports appeared in the press stating that the directors were considering closing everything down and shifting the park to Australia. The following month, the Harbour Board agreed to reduce the rent to £1000 per annum. By November 1930, however, the directors agreed to shift the park over to Sydney at the close of the summer season. It closed finally on 7 February 1931. It was dismantled over the course of that winter; Auckland’s “Coney Island” had ended. "I was aware of Auckland's Luna Park because I had seen something about it in a documentary in the 1980s. But nobody has ever really believed me and whenever I mentioned it people would just give me the side-eye and slink away. The Sydney Luna Park was also shut down in the late 1970s after a fire in which the ghiost train ride caught on fire while in use. There were all sorts of conspiracy theories and the like about it. " Well, there you go, Darian -- point them in this direction, and say "See?? I told you so!"